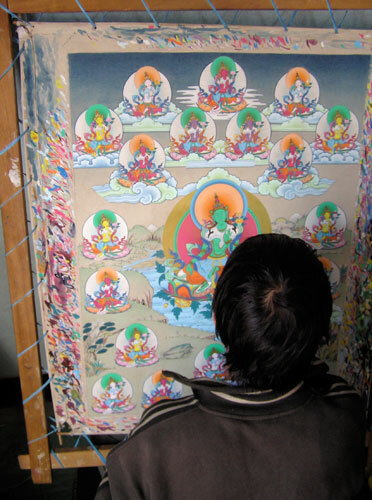 This painter works on a thangka of the Twenty-One Taras: a set of manifestations of the female Buddha Green Tara – that’s why she’s depicted much larger in the center of the artwork. 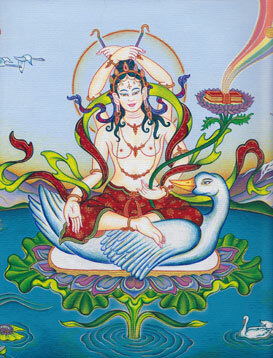 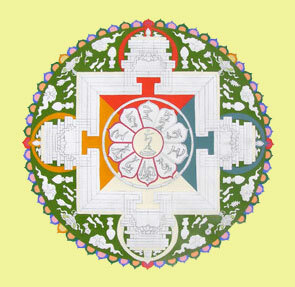 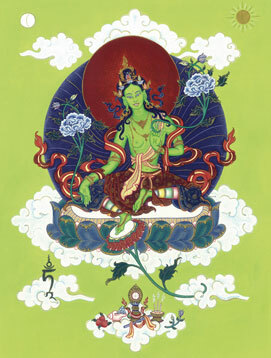 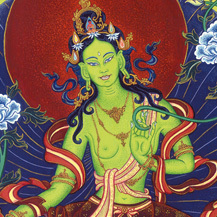 Despite what you may think, her ‘sister’ White Tara is not part of this large set of Taras. 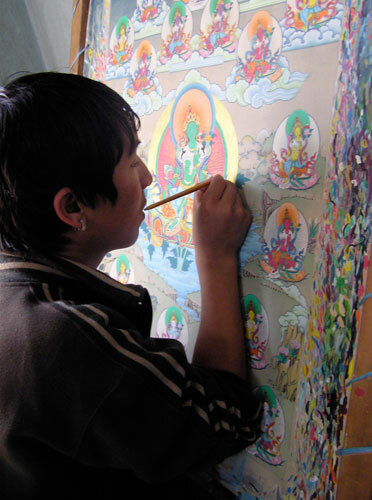 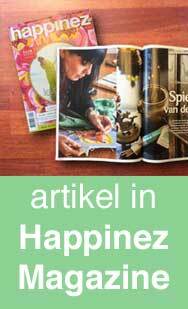 The pictures were made in Boudhanath, Nepal, in 2006. 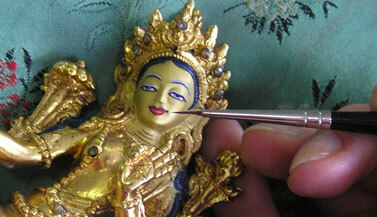 A thangka with many figures and details like this will take the artist six months or more to complete.